I recently learned that some people HATE them. I love running into their stately presence on long hikes. I feel connected to every other hiker that was and will be. 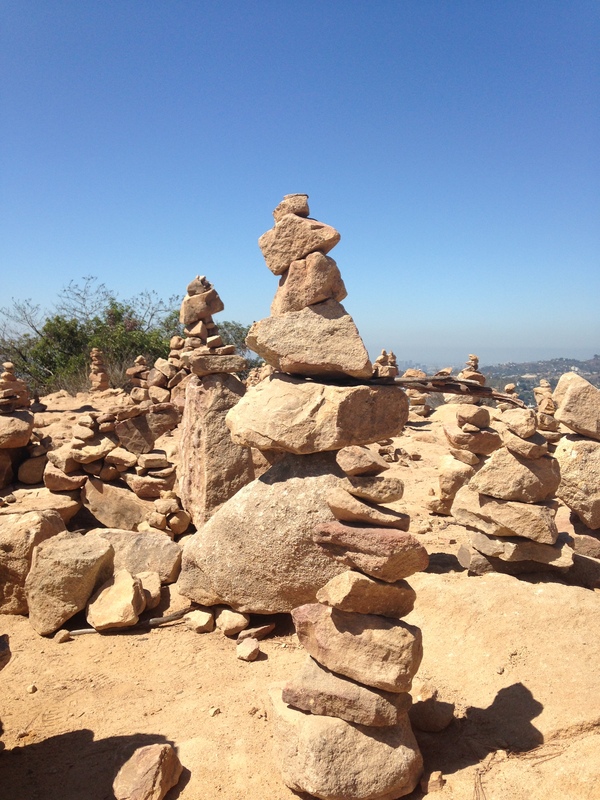 I feel like cairns are a tribute to nature–live art that is built by a community with love and respect for outdoors. Cairns by the “Wisdom Tree” in Los Angeles. I admire the balance of something so heavy and clumsy transformed into something so tall and regal. How many times do we find ourselves feeling so heavy and clumsy-completely out of our element? And how many times, with the perfect re-stacking and support, do we regain our balance and become majestic? 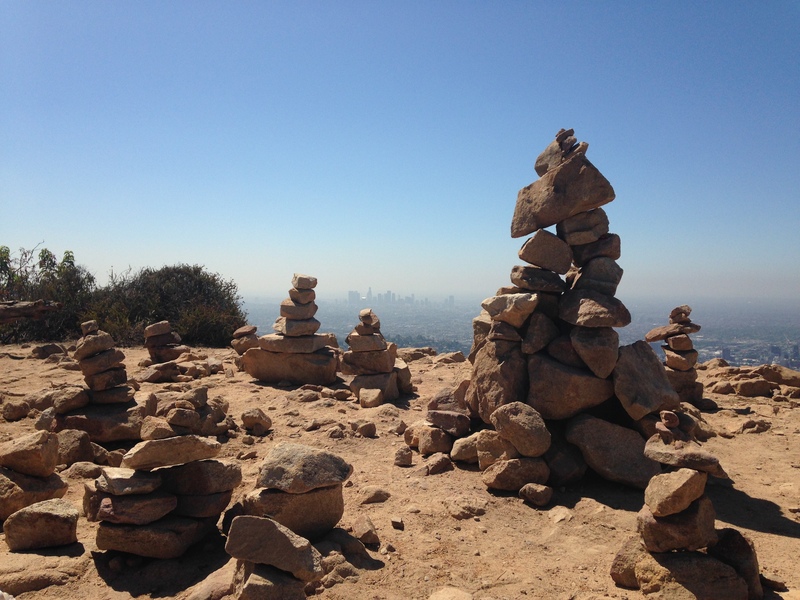 Cairns overlooking the LA skyline. I feel like we build our own cairns in our yoga and meditation practice. The postures stack and re-stack our bones and muscles into a perfect balance. Pranayama tests the sturdiness, crumbling anything that doesn’t belong. And meditation rebuilds again, and again, and again. Beautiful post! I love them too. I always build a little one wherever I go, even in my own house I have a little stack of pebbles, just because. : ) I love the analogy to yoga. That would be such a great trip!